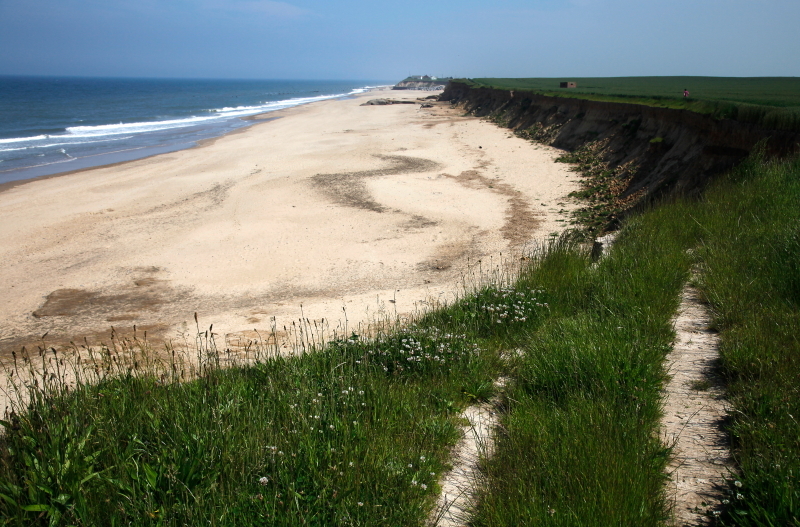 Bathing has been popular on Happisburgh beach since Victorian times, but today it is generally quieter than neighbouring resorts, making it the perfect place to relax. It’s popular for fishing or just taking a stroll and if you’re lucky, you may see a seal popping his head out of the water near the shore. On Sunday mornings the local RNLI can be seen manning the lifeboats at nearby Cart Gap, where there is also a popular local cafe, Smallsticks, perfect for a leisurely breakfast. The Happisburgh website has lots more information on village history and its close, often stormy, relationship with the sea. 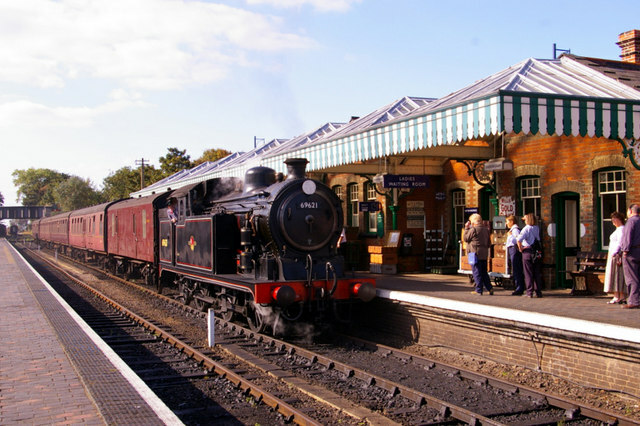 This nearby little seaside town is home to the North Norfolk Railway, which runs short steam train journeys on most days throughout the summer. Details of fares and timetables are on their website. It is also home to Sheringham Little Theatre which hosts a variety of events, details of which can be found on the theatre website. The Mo museum tells the story of the towns history, people and boats and is open Tuesday to Sunday from March to November and also on Mondays through the summer. 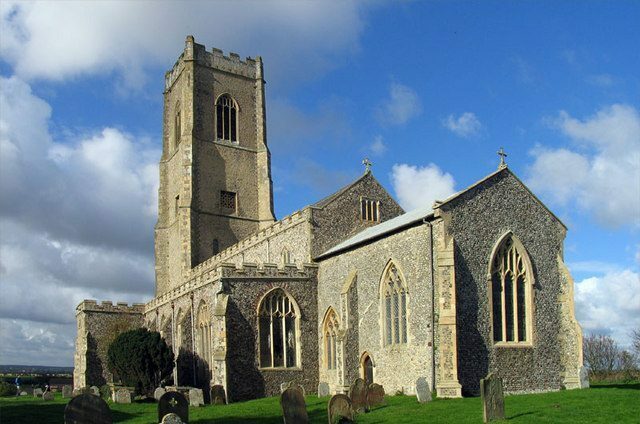 Hickling Broad and Barton Broad are both within easy reach of Happisburgh. Hickling is the largest broad, and is home to an array of wildlife including Bittern, Marsh Harriers, Barn Owls and Deer. There are extensive trails for walking or boat trips can be booked in advance by calling 01692 598276. Hickling is managed by the Norfolk Wildlife Trust. Hoveton Great Broad is also close by and can only be reached by boat. 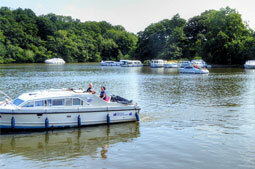 There are several reputable boat hire businesses in the area as well as organised boat trips. Probably the most famous of Norfolk’s seaside towns and without doubt, the largest. If it’s amusement arcades, roller-coasters and crazy golf you’re after, you’ll find it here, along with golden, sandy beaches, museums, theatres, two piers and a plethora of cafes, fast food outlets and more traditional seaside restaurants. 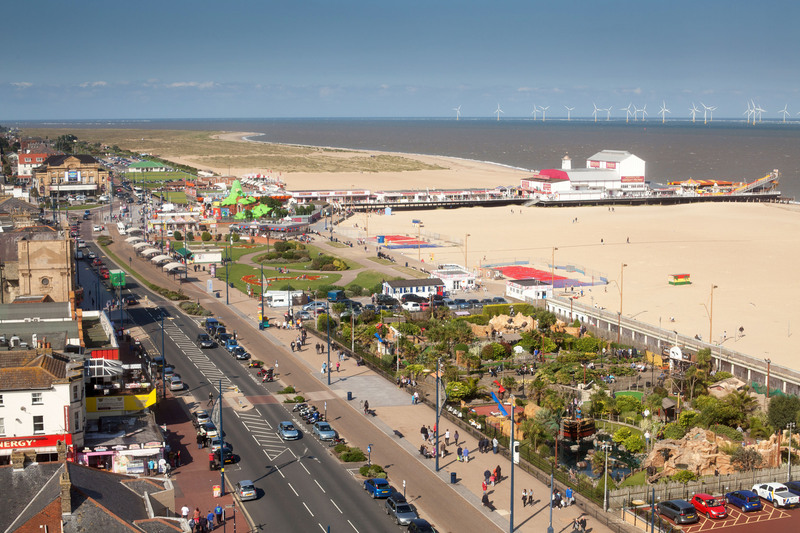 At night Great Yarmouth has plenty of bars, clubs and casinos to choose from, and for sports fans there is Yarmouth Stadium for greyhound and stock-car racing. The Sea-Life Centre and Thrigby Wildlife Gardens will keep animal lovers amused and the Pleasure Beach combines fairground attractions with white-knuckle rides. 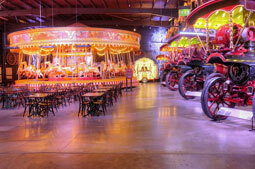 Visit www.great-yarmouth.co.uk for more information and details on all Great Yarmouth has to offer. A small town just 5 miles from Happisburgh, has a supermarket a high street of local shops, and a farmers market on alternate Saturdays. 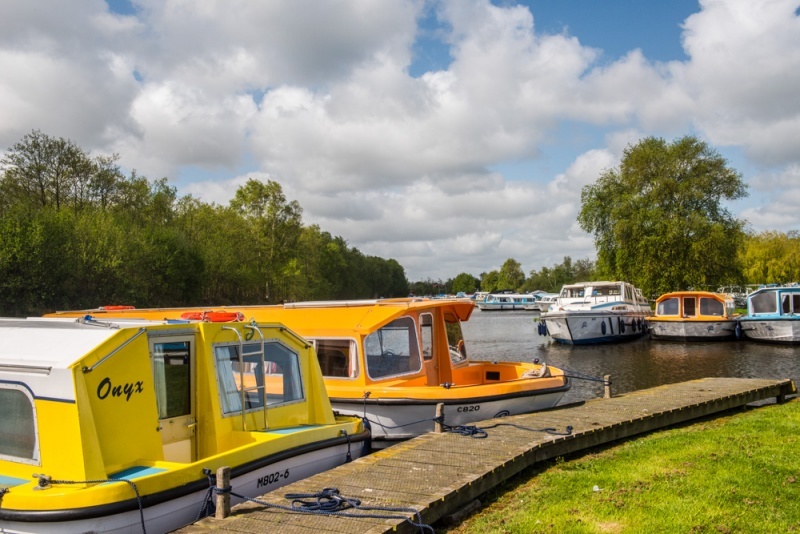 It is also a key starting point for many tours and boating holidays on the Norfolk Broads. Dayboats can be hired from here and from the neighbouring village of Sutton Staithe. Prices start at around £18 for an hour, rising to about £100 for 8 hours. You could also visit the Museum of the Broads, which is open daily except in winter. Standing on a hill overlooking the village to the south and the sea to the north, is the 15th century church of St Mary. On various dates throughout the summer you can climb the 155 steps in the 110ft tower for spectacular views of the countryside and coastline. Details are on the church website. Another traditional Victorian seaside town, famed for delicious Cromer Crabs, has family friendly beaches, traditional amusement arcades and a grade II listed pier, complete with a theatre. 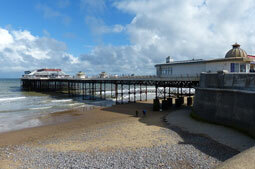 Cromer also has plenty of shops, bars, restaurants and cafes. 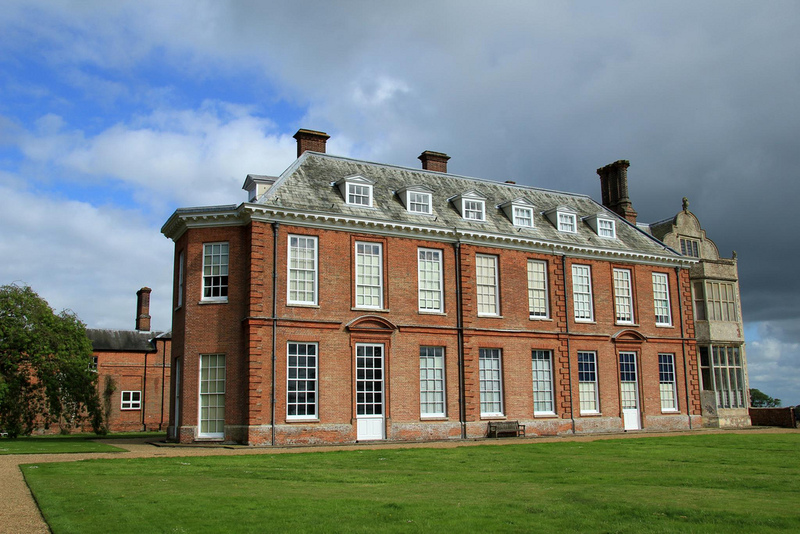 One of East Anglia’s finest country houses is Felbrigg Hall; a National Trust property just 17 miles from Happisburgh, and just a short distance from Cromer. House, gardens and parkland are open daily – opening times and prices are on the National Trust website. 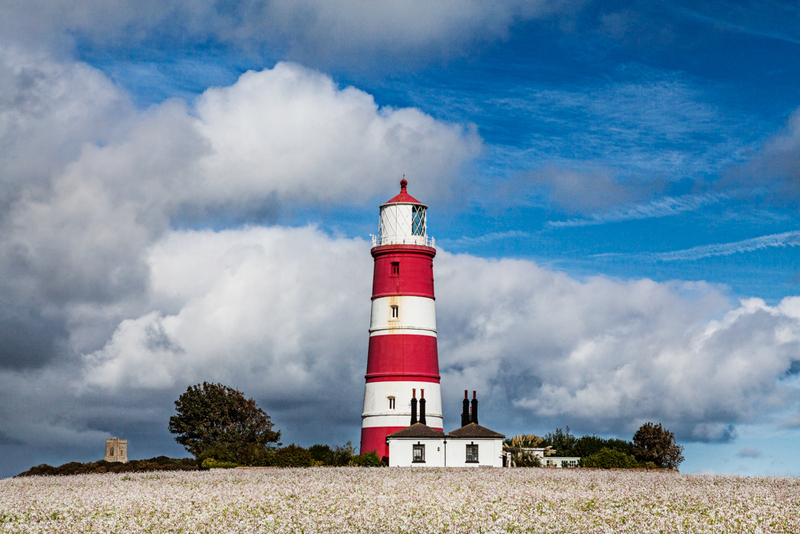 The only independantly run lighthouse in Great Britain is also the oldest working light in Norfolk and is occasionally open to the public on Sundays and Bank Holidays. For details email happislight@keme.co.uk or refer to the Village website. Steam lovers may also want to check out Thursford, near Fakenham, which boasts the worlds largest collection of steam engines and organs. These are just a few of the local highlights but there is a vast array of things to see and do in Norfolk. This online tourist guide is a good reference for the area, which genuinely has something for everyone.